When your life's a rollercoaster, who needs an amusement park? It’s tradition in our family to take the kids to Six Flags the day before school starts. Tradition because, you know, we did it that one time three years ago. Personally, I would rather chew on broken glass than be dragged through an amusement park, but my daughter was begging to go. In fact, she’d been begging from the minute she found out what an amusement park is. She’s a twelve-year old girl who’d never been on a rollercoaster. It’s like we owed it to her. First off, I have to say I was pretty shocked at the prices. $59.99 per person. Fortunately for us, my husband’s employer provided us with half-off passes. It’s like Six Flags was on sale! Since we were fresh out of broken glass, and I just can't pass up a sale, off we went. I don’t like rides. Wait, that’s not strong enough. I. Hate. Rides. I did go on the teacups, yesterday. (That’s right. I said, “the teacups.”) And the bumper cars, but that was it. I’m a total ride wimp. The last time we were there, I went on some awful Cajun Crab ride thing. Worst two minutes of my entire adult life. And don’t even get me started on rollercoasters. My kids asked me why I hate rides so much. I honestly don’t know. I told them that “unexpected moderate CAT on the North Atlantic Tracks is all the ride I need,” which seemed to satisfy them in the way only fancily worded obfuscation can. I spent a lot of time sitting on benches waiting for them while they went on their rides. And to think I used to say the airport was the best place to people watch. This place was almost worth the price of admission just for the spectacle. And I'm sorry, but no woman over the age of fifty should be wearing bright red hot-pants and cowboy boots. Ever. Toward the end of the day, my daughter had had enough. Apparently her idea of a rollercoaster and the actual experience of one were very different. She liked them enough, but not so much that she wanted to go on every single one. Thank goodness. I mean, I see folks in line for rides like Vertical Velocity and I have to wonder, What’s wrong with you people? For a little girl with thrill-seeking tendencies, it’s good to know we found something that scared her. This new tradition of ours will probably be expected to continue next year, which is fine by me. We all had a great time and it was good to do something fun together as a family, one last fling before school started today, which is when I get my reward: a house full of silence. Next year on the last day before school starts, if you hear screaming from Gurnee, you can bet it won't be me on a rollercoaster, but merely my reaction to an increase in the admission fee at the door, or maybe another pair of bright red hot-pants on a woman dangerously close to my age. Thank you for reading A City Mom! 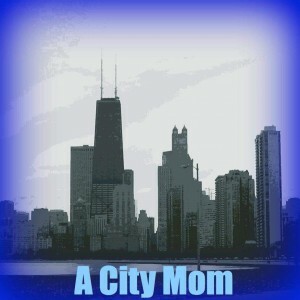 Follow me on Twitter @acitymom and/or Like my A City Mom fanpage on Facebook here. We went to Universal in Orlando this summer and I talked my hesitant 13 year old into going on The Rockit Roller coaster after being told by the 2 sweaty teens in front of us that it was NOT scary at all. (I think that's what it's called. I may have blocked it out after nearly blacking out.) They'd already ridden it 5 times! Easy peasy! It was a nightmare from hell. And I talked him into it! Oy, the guilt! That kid was white as a sheet when we finally climbed off. I wasn't much better. I used to love the coasters, but those days are gone. Long gone. Oh, how awful! It seems to me, from the safety of my bench at least, that the coaster makers go out of their way to make them as terrifying as they possibly can, as opposed to just thrilling and fun. I guess some people like that (your 2 sweaty teens) but you can count me out! Thanks for the comment Cincy! !